« What do I think is pretty cool? 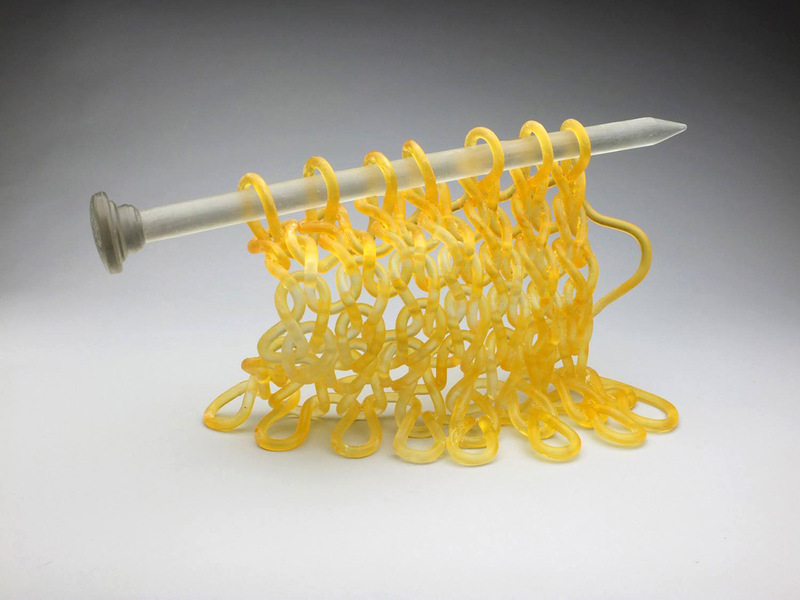 I am amazed by these knitted glass objects by Carol Milne. 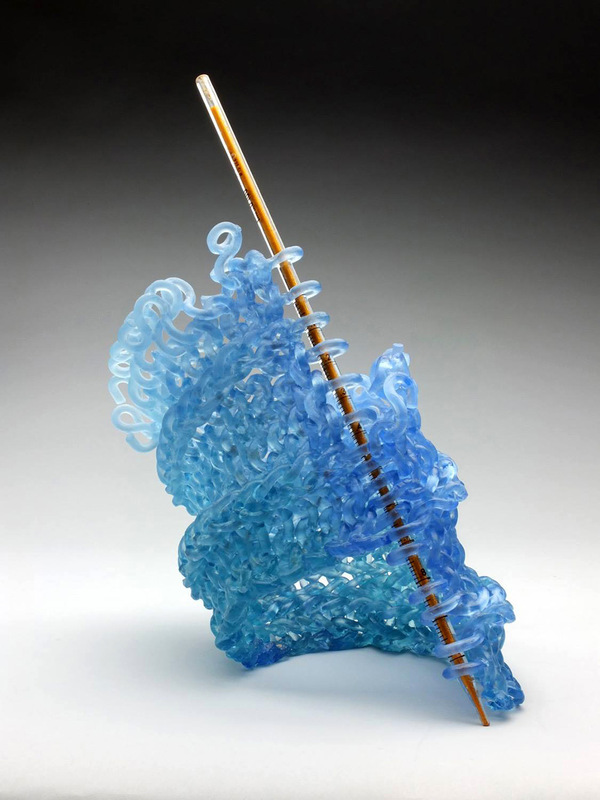 When first contemplating these glass sculptures by Seattle-based artist Carol Milne, your imagination runs wild trying to figure out how she does it. 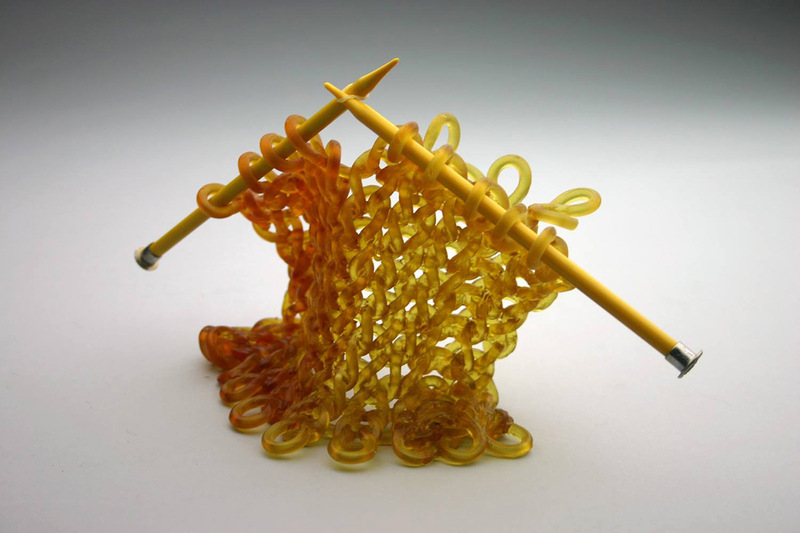 Glass has a melting point of around 1,500°F (815°C), so how could it possibly manipulated into neatly organized yarn-like strands that are looped around knitting needles. 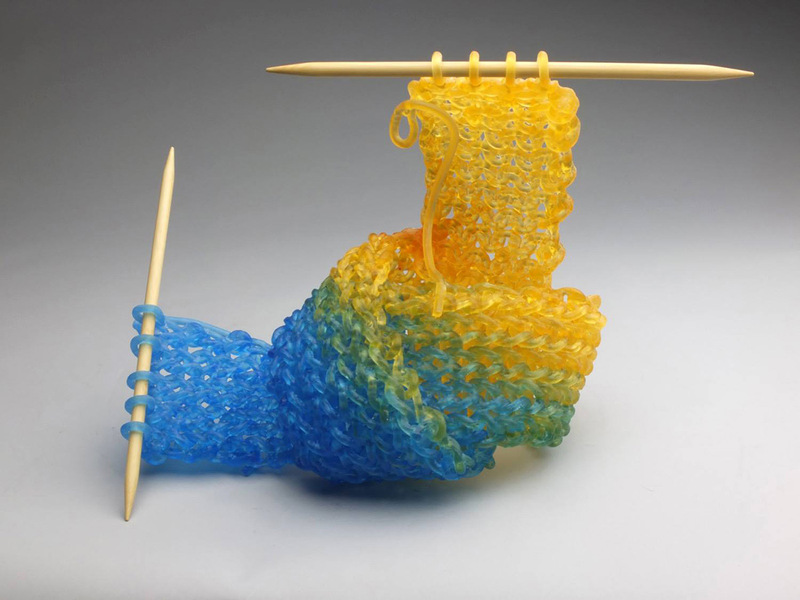 The answer lies in a technique invented by Milne in 2006 that involves aspects of knitting, lost-wax casting, mold-making, and kiln-casting. First, a model of the sculpture is made from wax which is then encased by a refractory mold material that can withstand extremely high temperatures. Next, hot steam is used to melt the wax, leaving behind an empty cavity in the shape of the artwork. Pieces of room temperature glass are then placed inside the mold which is then heated to 1,400-1,600 degrees Fahrenheit depending on the type of glass. Afterward, the piece is slowly cooled over a period of several weeks, followed by a careful excavation process, where Milne delicately chips away like an archaeologist to reveal the final piece. The story is by Christopher Jobson at Colossal.